It is a hat, honestly! This was a while ago, when legwarmers were back in fashion. For some reason I decided I should try knitting some (I’ve no idea why… I’d never have worn the things). Well, I can honestly say that I’m the only person to ever start knitting a legwarmer and end up with a hat. And a nice hat at that. 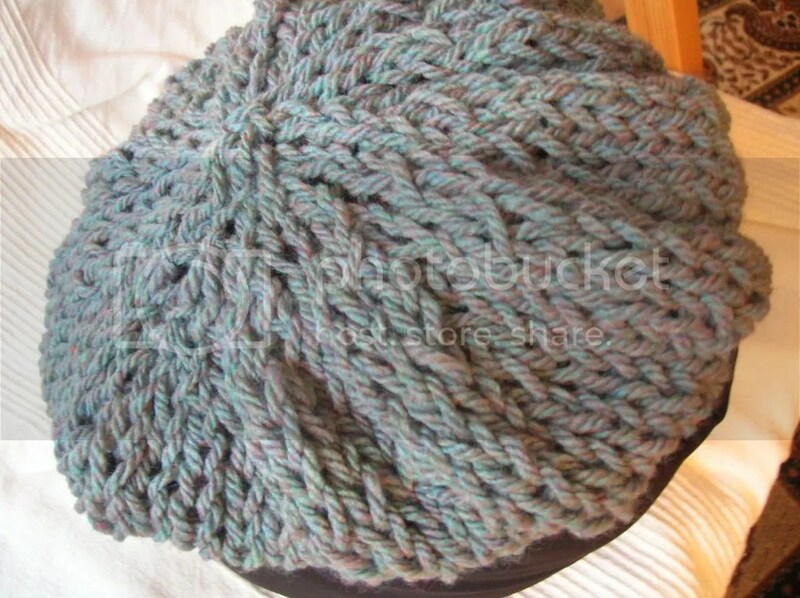 Tags: hat, knitting | Permalink.